So many people want to get organized for the New Year, but if you are on a budget or don’t otherwise have access to hire a professional organizer, I wanted to share with you a resource to help and let you know about a special deal. In 2006 organizing expert Lorie Marrero created The Clutter Diet®, an innovative online program that helps you “get your house in shape.” Her program has helped thousands of members in eighteen countries around the world, making organizing expertise affordable and accessible to anyone, anywhere. As you know, I am on of the five online Experts too! When you use the coupon code “2012win”, you will receive 25% off an Annual membership! This discount is the lowest possible price Lorie offers. Annual memberships are usually $143.40, but with this coupon code your price is 25% off, just $107, good through Monday, January 16 at midnight CDT. In other words, it costs you only $8.92/month to have unlimited access to organizing experts for personal consultations online! The best part of all– If you are concerned whether this program is right for you, no worries, because your first two weeks are free! You can sign up for the Annual membership with this coupon code and your card will not be charged until 2 weeks later, and you can cancel at any time. We feel great about recommending Lorie and her team, because there is no risk involved. …all for about the price of a box of trash bags or a package of coffee. Choose “ANNUAL” option, and enter the coupon code 2012win to get started with your free two weeks and lock in this very special discount price. After January 16 at midnight, annual memberships will cost $143.40. Your first week takes you through Lorie’s 7-Day Quickstart [use your affiliate link here] program, a week of focused guidance to help you choose a project, plan it out, and get it DONE! Then you get an additional 7 days of full access and support at no charge before your special discount price is applied. FTC Disclosure: Occasionally in this newsletter we may have links to other companies’ products which provide us with a commission if you purchase from our link. We want you to know that we feature only products here that we absolutely believe in and getting a commission on them is just a smart bonus if we happen to have a link available to us… We are at all times looking out for what is best for our readers and our reputation. Thank you! 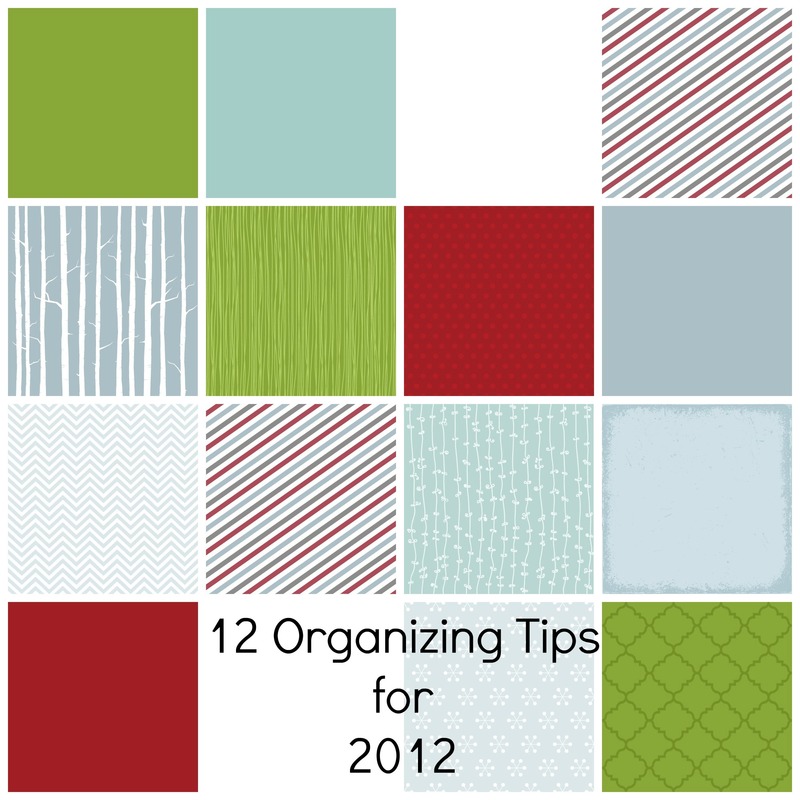 Have you had a life long struggle with being organized? Need support from a community of people who are equally overwhelmed? Don’t know where to start? Looking for accountability and resources to help you live the life that truly want in life? Need an affordable organizing solution? It’s time to get started and declutter your life! Join Ellen Delap CPO® in February 2012 for Professional-Organizer.com’s Clutter Support Group. This membership based group is the starting point for your journey in transforming your life, helping you define, establish and maintain an uncluttered lifestyle. Professional-Organizer.com’s Clutter Support Group is a four week, 1 ½ hour program where members support each other every week. Members will work on individual projects, read along in the book The Other Side Of Organized, and discuss organizing solutions. Fee is $100 for the sessions, book and related materials. Register by January 25. There is a limited membership. For information and to register, call 281.360.3928 or visit www.professional-organizer.com. Organizing your time takes many different steps to get the job done. Having one great calendar and an effective way to manage your tasks and lists are the first step. Carving out a weekly planning time pulls together these great tools. Stephen Covey and David Allen both incorporate this routine into their strategies. This time helps you create a proactive plan! Weekly planning time is when you pull together your lists, assess upcoming events and add a plan to your calendar. Start by setting an undistracted time for you to “meet” with your planner. This should be added to your calendar as an appointment! A good time may be Friday before the end of work, Sunday afternoon as you are getting ready for the week, or any time that really works for you. Gather together your tools of your planner, your lists, any emails or papers with upcoming events, projects you are leading or collaborating, and any other date driven activities. Add all new dates and update any existing dates, then add small reminders, consolidate errands, project out baby steps for a big project, and generally scan for bumps in the road coming up. If you use a technology planner, no problem! Same strategy with this tool! Set a day of the week for certain activities. Money Monday and Financial Friday are the days you work on money matters. By allowing yourself one set day a week for an important task, you give yourself permission to be dedicated to one specific task instead of many difference ones. This strategy works well for people who know that they can do one thing well. Be consistent about your weekly planning time. The more consistent, the more you will notice what’s working and what is not. “Noticing” can lead to enhancements too, such as knowing what works best for you and what are your strengths. Take this routine to the next level with a Family Meeting too. Gather your family on Sunday evening, with all their calendars and your family calendar (paper, Cozi, or google calendar) and set this time for planning purposes. Not only will you have family communication, collaboration and cohesiveness will be a big bonus. Let me know how you are doing with your weekly planning time! The holidays have come and gone. Getting organized for the holidays really depends on organizing your Christmas decorations the year before! I wanted to share a few of my favorite products in organizing for after the holidays. These are available at Target, WalMart, Container Store, Stacks and Stacks and more! Includes: Fees include all workshop materials as well as breakfast and lunch Saturday, and breakfast Sunday. Address the Mess at University of Houston Small Business Development Center. January 19. Join us for Address the Mess! Join the UH SBDC as they team up with the National Association of Professional Organizers (NAPO) to bring you an exciting and informative session on the latest ideas and solutions for organizing your business. NAPO is a group of over 4,000 professional organizers dedicated to helping individuals and businesses bring order and efficiency to their lives. January is national GO – Get Organized month so make plans now to attend. You will receive strategies for email productivity, must-have guidelines for organizing your business finances, and secrets for organizing and preparing your desk and workspace for immediate impact. https://professional-organizer.com/WordPress/wp-content/uploads/2016/07/logo.png 0 0 Ellen https://professional-organizer.com/WordPress/wp-content/uploads/2016/07/logo.png Ellen2011-12-15 08:10:552011-12-15 08:10:55Address the Mess at University of Houston Small Business Development Center. January 19. Learning is important to me. I love to learn, especially tools I can use in my work with my clients. This year at the Institute for Challenging Disorganization Conference, I learned more about Motivational Interviewing. What is motivational interviewing? It is helping a client resolve ambivalences in their life by supporting change with authentic resources. So what does this mean? Through motivational interviewing, my clients can talk through a challenge and find a possible solution. It is ” a person centered form of guiding to elicit and strengthen motivation for change.” It is basically a guided way to talk through a challenge that the client has decided needs to be changed. How will this help my clients? In finding additional tools in our work together, my clients will be using their own voices to resolve organizational, motivational, time management and paper management issues. This tool will be in addition to coaching and bringing resources to them. We can create our own solutions with a partner guiding us and coaching us through the questions we have, as well as adding insights and resources from time to time. In listening and reflecting back to clients, they are finding answers. In addition to coaching, this client centered approach is a great fit for the clients I work with and helps us work together to establish their vision of organized! Thanks to Cathy Cole (www.cathycoletraining.com) for instructing us at the ICD conference! It is so easy to get caught up in the blitz of the holidays. How easy it is to overlook the ways we can make a difference for others. Here are a few small ways to make a difference this season. Drop some change in the Salvation Army bucket. Drop off a toy for Toys for Tots at ToysRUs. Gather your kids and donate your used toys to thrift shops in our community. What are your favorite ways to make a small difference?